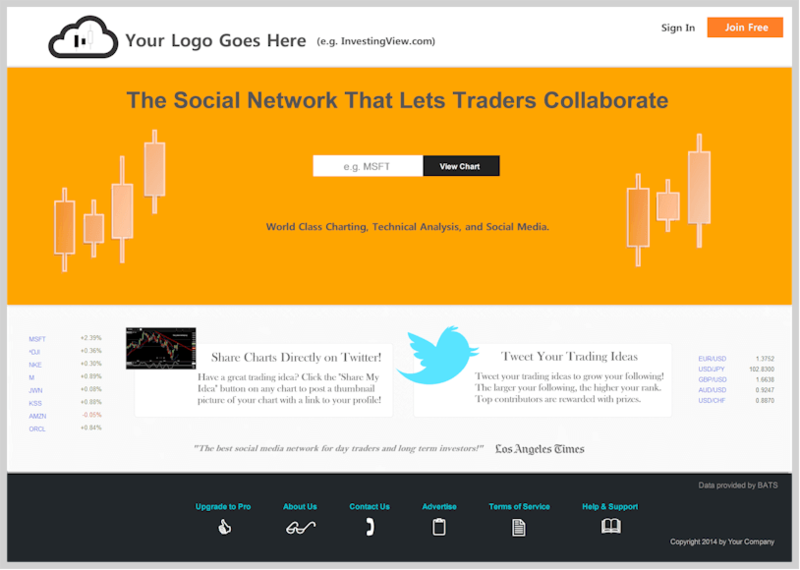 A Twitter-based social network service that allows traders to collaborate and share charts, trading strategies, indicators, and expert advisers with other registered users while growing your site's popularity. Social media is growing in popularity among traders. 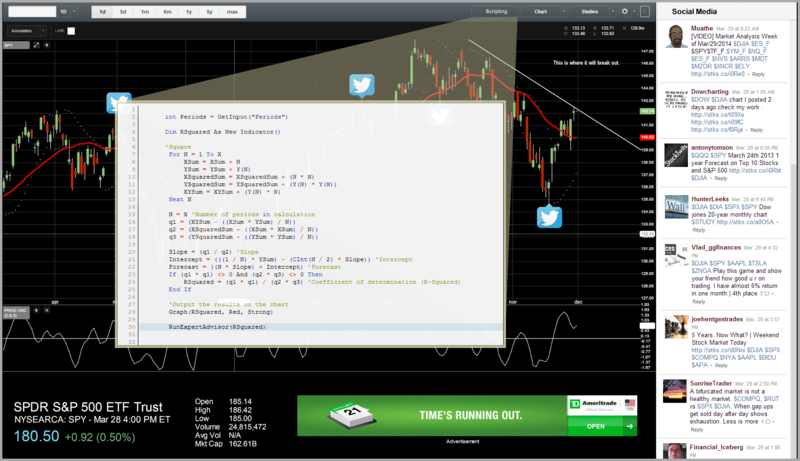 Our new social trading solution is a Twitter-based social networking service which allows traders to collaborate and share charts, trading strategies, indicators, and expert advisers with other registered users, all while growing your website's popularity. Modulus enables you to connect with social media-centric traders so you can go further, faster. Our solution is designed to be hosted on your servers and run under your domain name. In fact, the colors, themes, graphics, layout, font, and certain features are intended to be customized in order to make the solution appear to be your own unique service. Our developers will customize everything for you: from colors to layouts, system-generated email notifications to Twitter posting templates, features and functionality to domain name and branding, your brand will shine through. Our developers will even publish and maintain the system on your own Amazon EC2 instances. An easy to use and navigate administration site allows you to manage groups and individual users; create logins; manage permissions and entitlements; manage market data feeds; enable, disable, and manage advertising campaigns; create email marketing campaigns; track social media coverage; run reports and much more. With this customizable social trading solution, traders are always connected and sharing ideas. Find exactly the information you need and discover opportunities you didn't even know existed, all while growing your site's popularity and ranking. The solution lets traders use their existing Twitter login to post and share charts, messages, and opinions on stocks, futures, forex,and even cryptocurrency markets. 1. Award Winning Professional Charting and Technical Analysis Inspire Great Trading Ideas. 2. 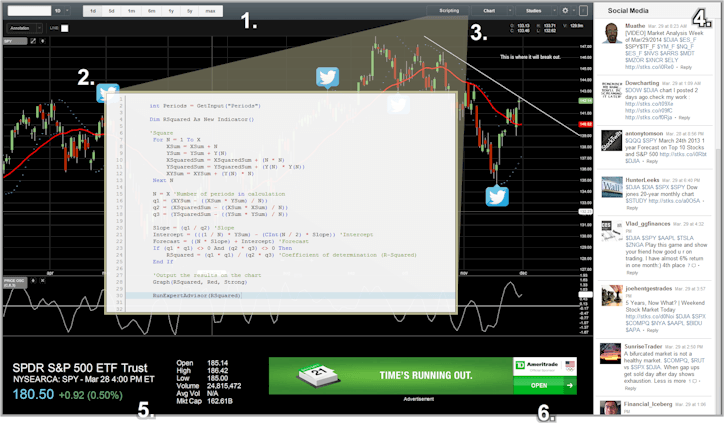 Share Charts and Trading Ideas on Twitter. Links Point to the Website for Increased Traffic. 4. Twitter Garden-hose and Fire-hose Streams Fully Supported for Continuous Connectivity. 5. Global Market Data Supported (integration fees may apply). 6. Built-in Optional Banner Advertising System. The Modulus social trading solution evolves with technology and trends so your site can keep up with whatever comes next. The service is designed to be hosted on Amazon EC2 servers. Setup and training provided.